Update: since our original story was posted, Orange has put out a rebuttal saying the remarks were taken out of context. Orange said that Stephane Richard was nodding along to what the reporter was saying about Le Point's coverage, rather than confirming hard facts about the Apple Tablet. After looking around Le Point's website armed with Google Translate, we can't find any Apple tablet stories there that are any less speculative than anyone else's. Which begs the question about the reliability of the report Stephane Richard was apparently confirming. On the other hand, Orange is Apple's official partner in France. Even Le Point isn't sure what to think. Make of it what you will. 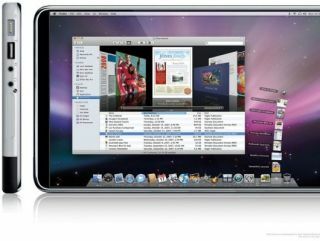 The deputy CEO of France Telecom – parent company of mobile operator Orange – has confirmed that the Apple tablet computer will have a webcam, 3G connectivity and be available to his customers. You can see an interview on camera between a French journalist and Stephane Richard, deputy CEO at France Telecom, which contains the below the exchange (for those of you that don't parlais Francais). Jean-Pierre Elkabbach: … equipped with a webcam. Jean-Pierre Elkabbach: Are Orange customers going to be able to enjoy it? So there you go, it looks like the 'iTablet' will be sold via mobile operators in very much the same way that the iPhone currently is. All we need now is the final official confirmation from Apple. Coincidentally, Apple is holding a major press conference in San Francisco on January 27. TechRadar reported back on Christmas day how Steve Jobs is apparently finally 'happy' with the Apple tablet device.